Let’s begin with a simple truth. We are sweet on swine and we absolutely dig pig. At City Pork Brasserie and Bar you will get some of the best pork dishes in the city of Baton Rouge. Some of the variations are bold and direct and others contain the subtle use of pork. Don’t like pig? That’s ok too. We would have thought that this would have been purely a pork review. A tour of pork pleasures! However we were delightfully suprised. 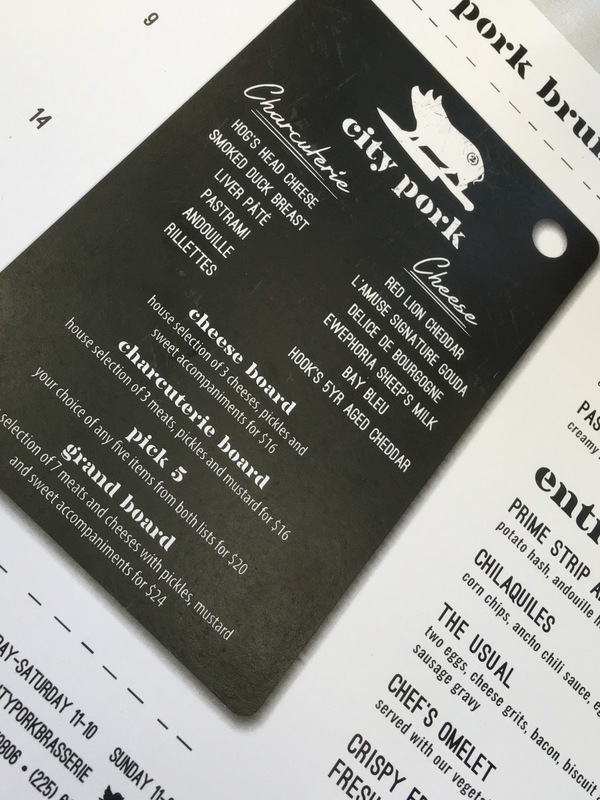 City Pork has an excellent menu that appeals to pork lovers and non-pork lovers alike. A brasserie is a type of French restaurant with a very relaxed setting, which serves simple and hearty food. City Pork’s concept couldn’t be more well executed and accomplished. There is indoor and outdoor seating, which for a cool day like today was an excellent option. Staff is incredible and very attentive. Never an empty glass and always proactive with their service. The portion sizes are perfect and shareable. Open table is also available for this venue. Parking is ample and the restaurant is child friendly. Bacon Bloody Mary: Delicious flavors with a good bacon presence. Very good! 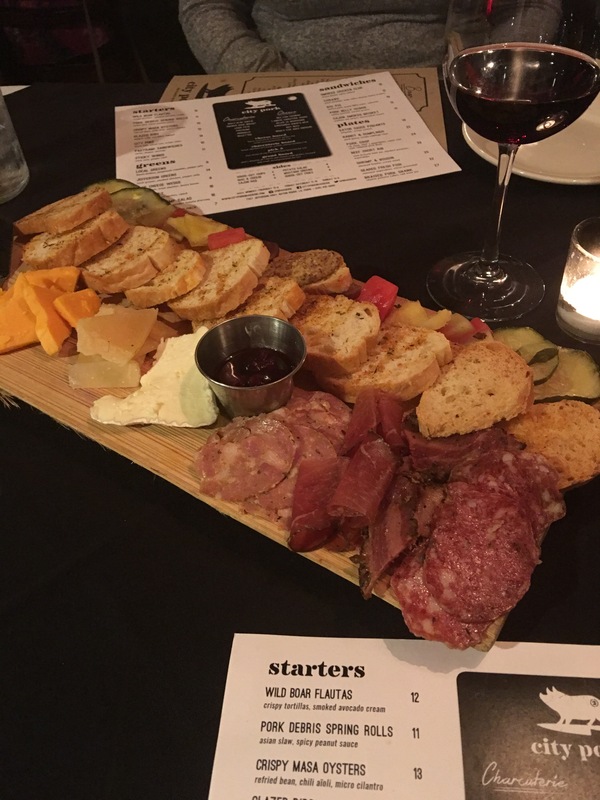 Charcuterie Boards: You should definitely explore the options for charcuterie boards. There are excellent cheeses and pickled vegetables. This is perfect for a light start with a diverse exploration of cheeses and meats. Different sizes are available and you can also choose your own adventure on the selection! 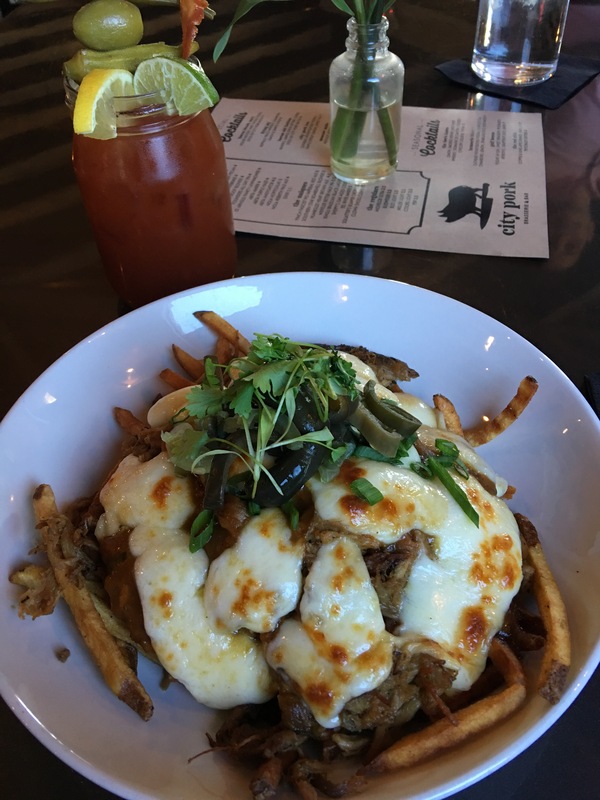 Pork Debris Poutine: pickled jalapeños, applewood smoked cheddar and giblet gravy. This is an appetizer but it could be a main course. We recommend putting an egg on top. The poutine was exactly what you’d think it was. 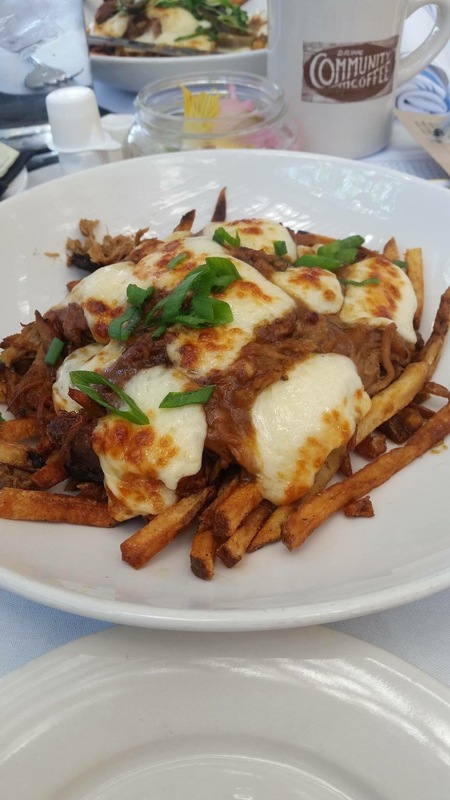 Fries, gravy, cheese curds, but there was the added shredded pork. Again, some use of a pig. This is a delicious starter that you might have difficulty finishing. Bring a friend. Bring several friends. It’s outstanding and very good for a Sunday brunch that might be following a late Saturday. Brisket, Egg and Cheese on Texas Toast: The brisket sandwich was a revelation. The egg and tender brisket were expertly paired together. Awesome toast! Ordered the Usual and it was anything but “the usual!” It comes with two eggs, cheese grits, bacon, and biscuit topped with sausage gravy. 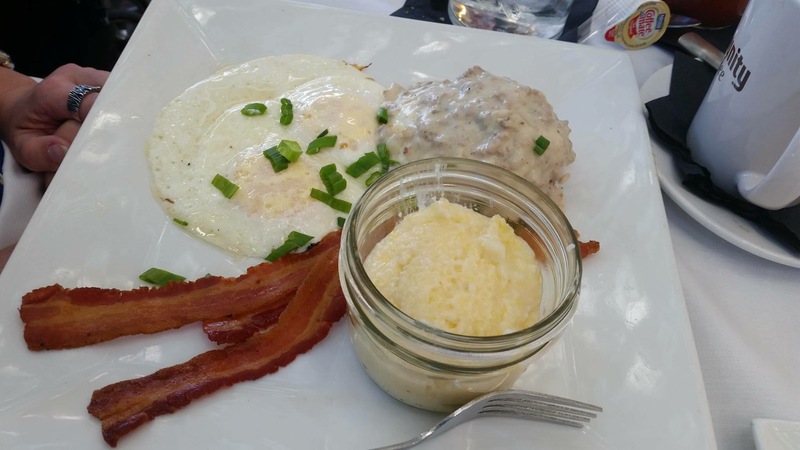 The biscuits and gravy had a sweet breakfast sausage feel that were loved by the entire table! The grits were incredible and our favorite side! 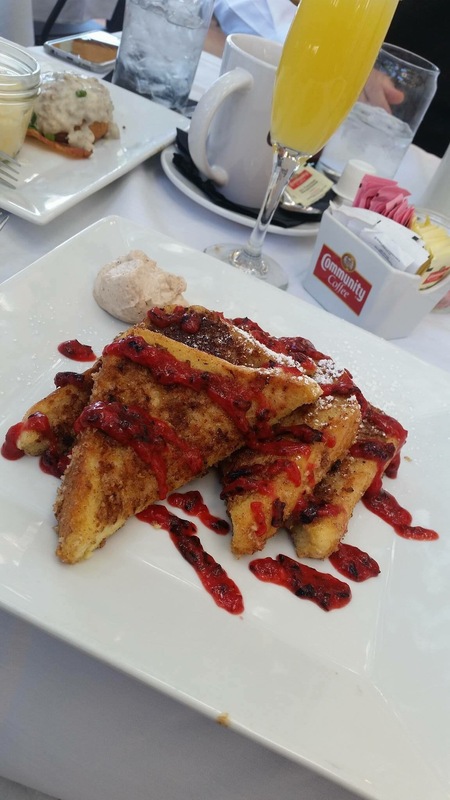 Crispy French Toast and Fresh Berry Compote: Here is where things took a delicious turn. This french toast was not overwhelming and overly sweet. It was crunchy with a subtle sweetness. Also the berry compote enhanced the flavor of the toast. 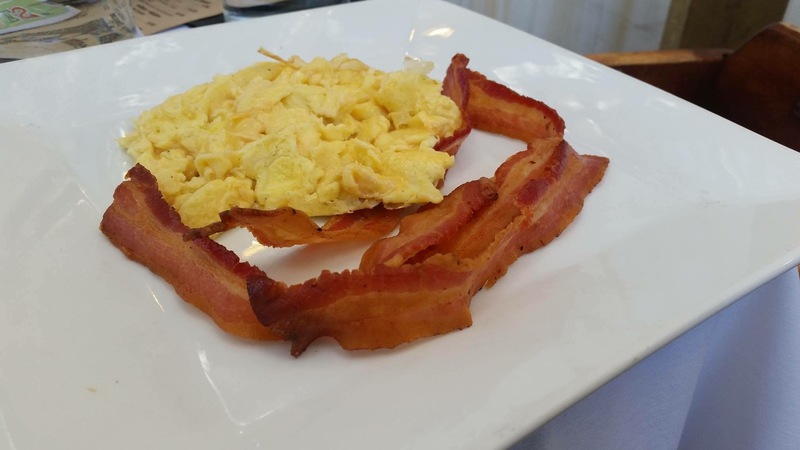 On a special note and an emblem of how awesome the Chef is at City Pork Brasserie and Bar: we ordered soft scrambled eggs as a side. The wait staff didn’t flinch. They were served and executed to perfection. They accepted the challenge without hesitation. Eggs at City Pork are done right. 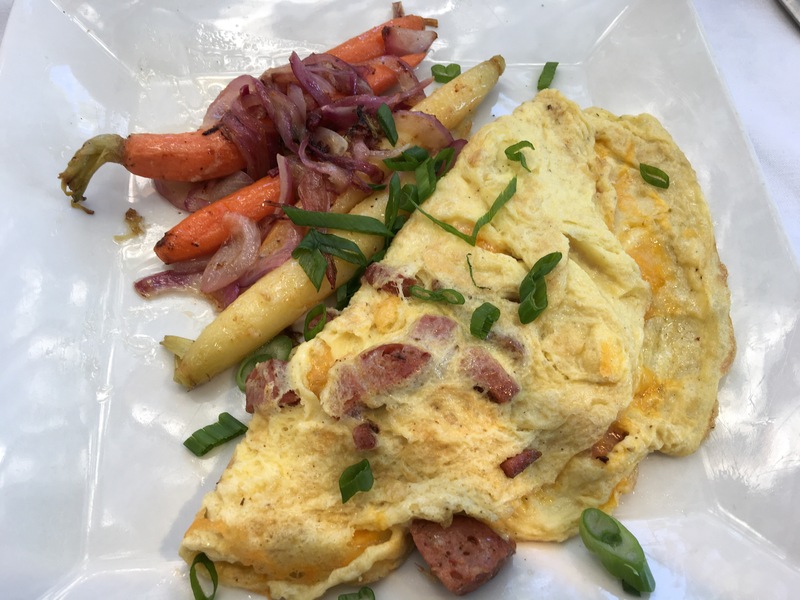 An outstanding sausage omlet with fresh perfectly cooked vegetables. The carrots were a treat. Highly recommend this! “That’s some pig.” This is one of the most memorable lines in Charlotte’s Webb. 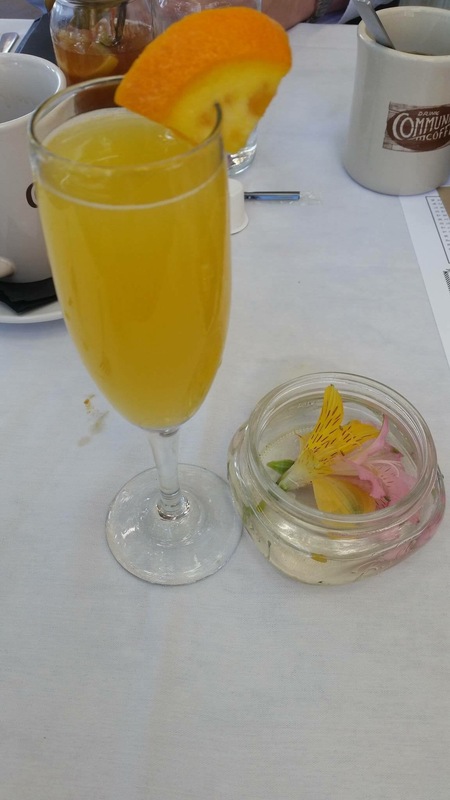 We say, regarding City Pork Brasserie and Bar, “that’s some brunch!” This is a great treasure and the outdoor seating made this one of our best brunches to date. 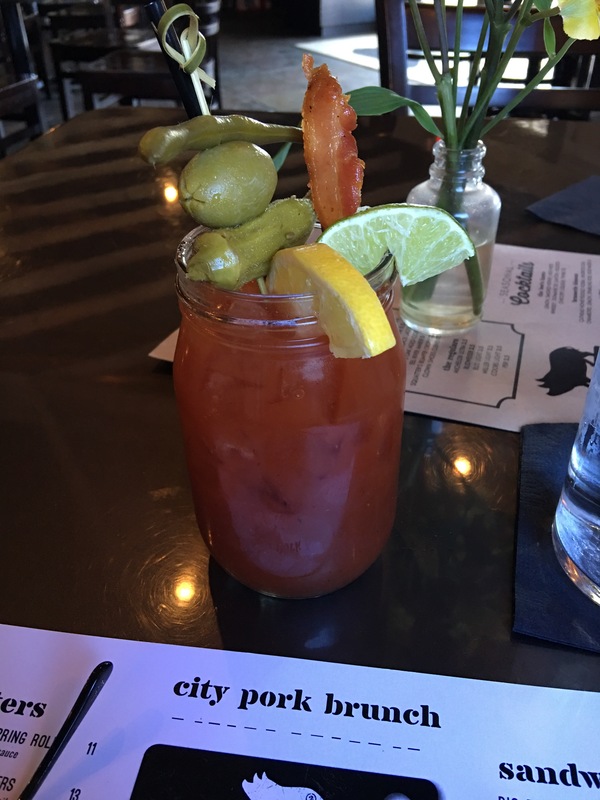 If you are ushering in Spring with a great Sunday brunch, then you should go to City Pork Brasserie and Bar. We only scratched the surface of this outstanding Baton Rouge Brunch. Enjoy!